Construction on the first 50 houses started in 1933 and completed in 1934. 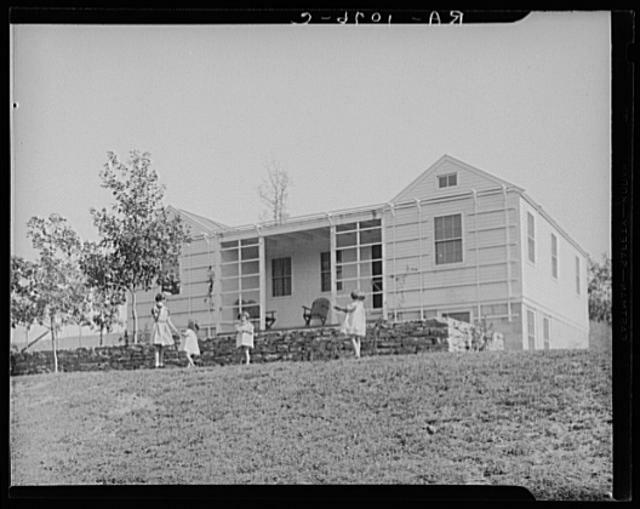 Called Hodgson houses, they were prefabricated by a manufacturer who had originally designed them to be vacation summer cottages in New England. They were made of Oregon cedar over pine frames and featured cedar siding and standing seam metal roofs. 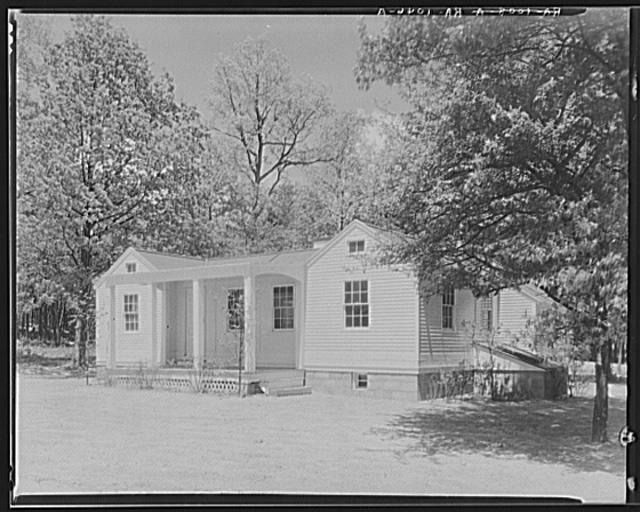 The homes proved to be poorly insulated and of light construction, making them ill-suited for the harsh winters to be found in Preston County, West Virginia. One story in height and painted white, all Hodgson homes featured complete basements. 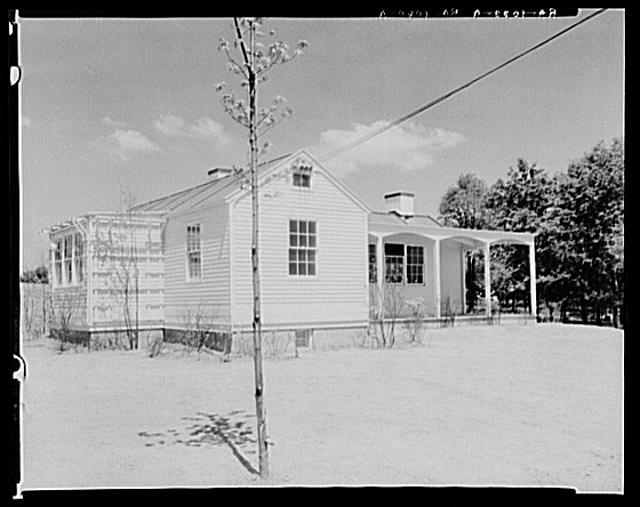 Despite being prefabricated, the homes did vary in style. A total of four types were featured in Arthurdale, designated by the letters I, T, L, and H, which indicated the general floor plan of each house style. The federal government provided each house built in Arthurdale with electricity, indoor plumbing, refrigerators, and coal fired furnaces. 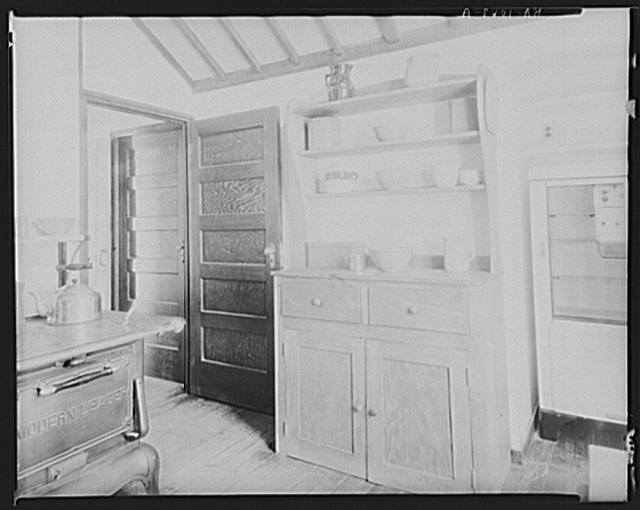 Electricity, refrigerators, and indoor plumbing were rare amenities in rural America during the 1930s, so the inclusion of these conveniences in the homes, and the addition they made to the budget, created controversy. For more information on Hodgson houses, visit Jim Tedesco’s website about the E F Hodgson Company at www.hodgsonhouses.net. House under construction. 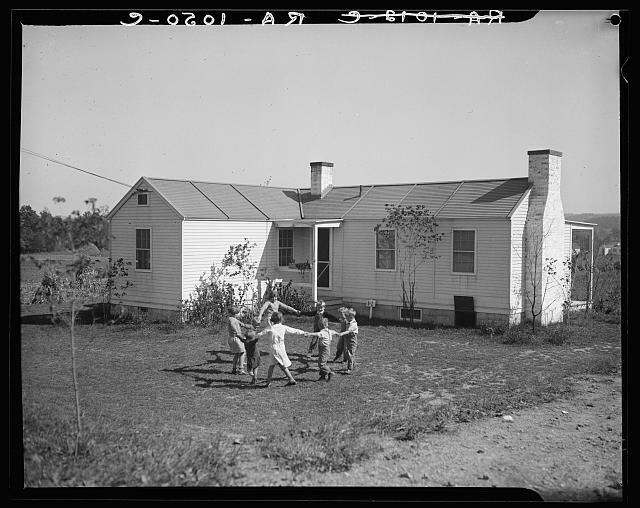 Reedsville, West Virginia, Elmer Johnson, May 1934, Library of Congress, FSA-OWI Collection.